That carrotini is shaken, not stirred, right? Make another one and let me watch! NOTES: Daisy came to BHRR from Tucson and is a big beautiful girl with tons of charm! Daisy loves to dig, play with her toys, eat, play some more and then take a little midday siesta. 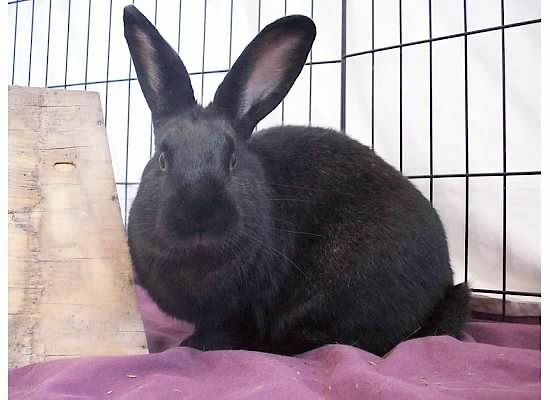 She is an absolutely perfect girl for a lucky bunny boy and a family who will allow her the time she’ll need to trust and find her inner binky. I'm guessing it will take you watching several times before you feel convinced??? Daisy is so satiny and beautiful, yet has just the right touch of disapproval. She could surely teach some lucky kids how to seek her approval through intricate plating of salads and regular offerings of nutriberries.